Although attendance was down compared to previous shows, those who came were in a buying mood. Read about the innovative products that took home Challenger Awards by clicking here. See all the winning projects from the 2008 Design Emphasis Student Awards here. An estimated 40,000 people attended IWF 2008, for an opportunity to view the latest technology and supplies for the woodworking industry. The next IWF will be held Aug. 25-28, 2010, in Atlanta. Despite a decrease in attendance, reactions from the 2008 International Woodworking & Furniture Supply Fair were generally upbeat following the four-day show, with a large number of exhibitors commenting on the high amount of interest shown by buyers in the products and services on display. According to preliminary figures from show management, an estimated 40,000 exhibitors and attendees participated in the event, a 7 percent decrease over 2004 overall figures. The 19,299 verified buyers (total participants less exhibiting personnel) included representatives from all segments of the secondary woodworking industry: cabinetry, architectural millwork, office and residential furniture, store fixtures, panel processing, etc. Making its debut at IWF, the U.S. 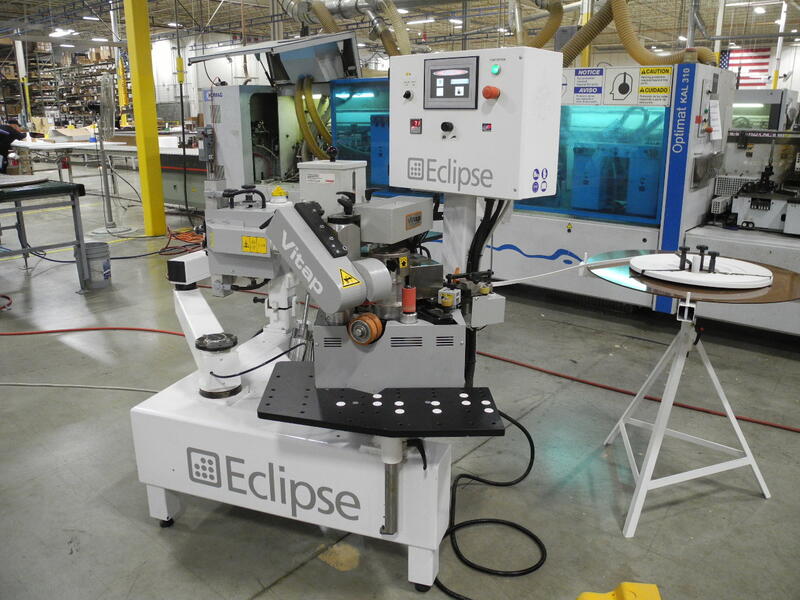 Innovation & Demonstration Center showcased products by members of the Wood Machinery Manufacturers of America as part of a âtotal solutionsâ integrated system. 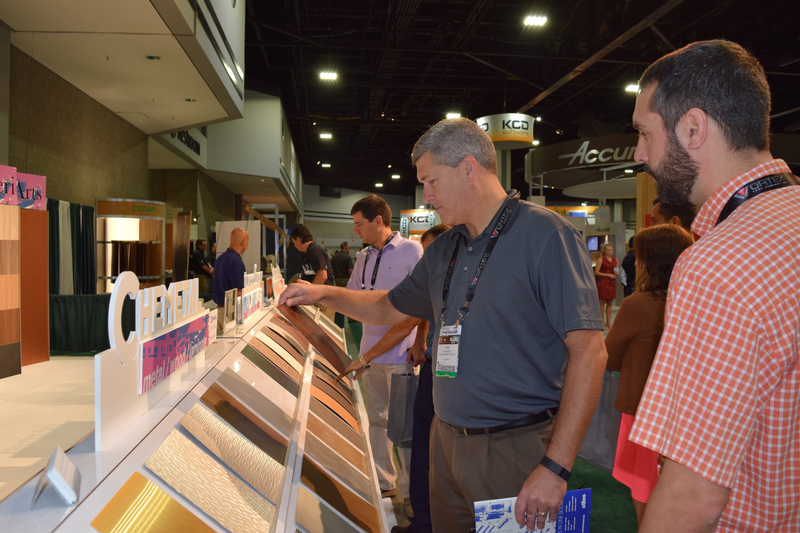 Located in Booth 5752, the 3,600-square-foot exhibit included demonstrations of machinery, cutting tools and supplies making kitchen cabinets for the Atlanta chapter of Habitat for Humanity. According to Ken Hutton, WMMA executive vice president, the exhibit highlighted manufacturing methods which can improve productivity and profitability, while demonstrating the competitiveness of American-made woodworking equipment. Walking the 813,521 net square feet of space throughout Buildings A, B and C of the Georgia World Congress Center, representatives from companies of all sizes â from one to more than 250 employees â looked, listened and left from the 1,324 exhibitorsâ booths with products or ideas for making their companies more productive. According to figures from show management, buyers came from 80 countries, as well as all 50 states in the United States. Although exhibitors noted the decrease in attendance, many commented that the serious buyers were present. 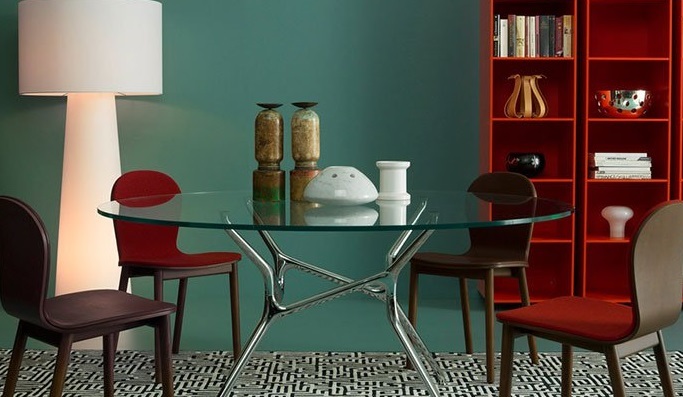 âDespite the evident decline of visitors, Biesse was in the position to sign orders in a quantity close to IWF 2006, which was held during entirely different economic circumstances,â said Federico Broccoli, president and CEO of Biesseâs North American operations. âThe buyers that came to this yearâs show were serious, qualified and exceeded our members expectations in terms of sales and qualified leads,â said Bill Miller, executive vice president of the Woodworking Machinery Industry Assn. Steve Waltman, vice president of Stiles Machinery, also commented on the number of qualified visitors seen at the show. 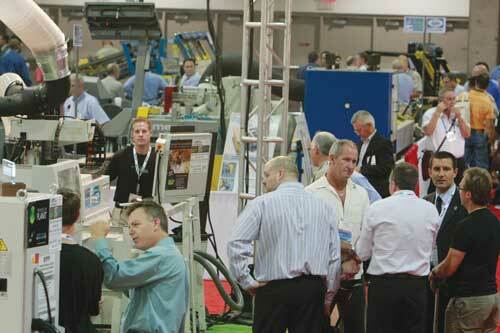 Stiles had the largest booth area, occupying 42,475 square feet of space and displaying 73 machines. âIWF is, and continues to be, the most important resource for our members to find machinery, supplies and services that will make an immediate impact on their manufacturing process, while providing new ideas, solutions and a plan for our members to succeed in the future,â said Andy Counts, CEO of the American Home Furnishings Alliance. IWF 2010 will take place Aug. 25-28 in Atlanta. For more information, visit www.iwfatlanta.com.